The Petzl Djinn carabiner is a classically designed, clean carabiner that is ideal for those venturing into outdoor climbing. 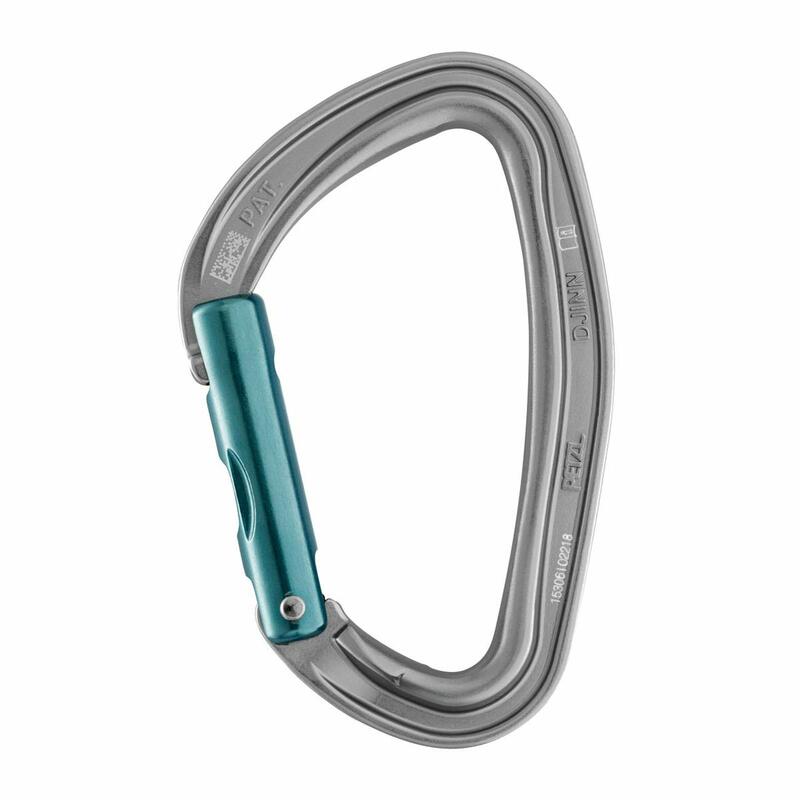 Available in both bent and straight gate versions, the Petzl Djinn carabiner has an H-shaped cross section for improved strength to weight ratio. Weighing less than 50g per 'biner, these are lightweight, durable and superb for those building up their first rack. STRENGTH 23kN major, 8kN Minor, 9kN Gate open. Bought specifically to make alpine draws (bend gates). Found them really good, ergonomic, easy to clip and rack as well. Widely used, for good reason. Light and sturdy, closes prompt and firmly.